Our Island Home is working with North West Mull Community Woodland Company to develop 5 affordable houses at a site owned by NWMCWC outside Dervaig. Various options have been explored in identifying the best way forward for delivering community led housing in the area. One option being explored is working with Argyll and Bute Council with one of their RSLs developing the 5 units on the land owned by NWMCWC. Justifying a small-scale development to the council/RSLs has been a long and challenging process. 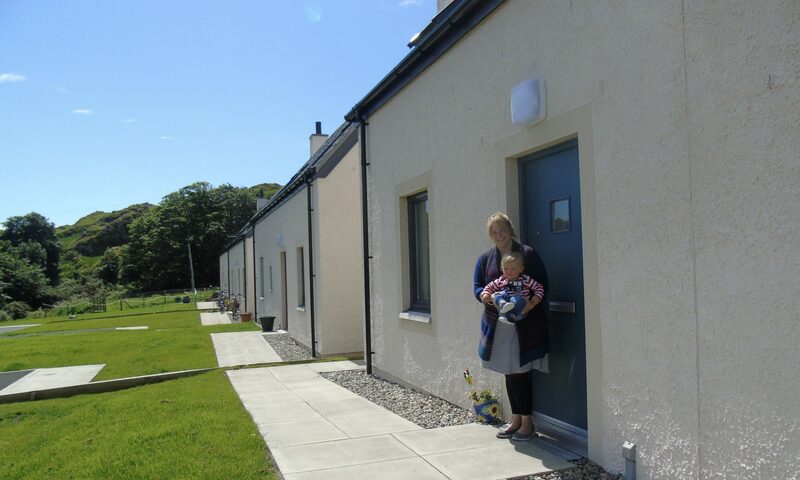 Our Island Home have produced a Housing Needs Survey to help highlight who requires housing, the type of housing needed and how that might be met. The Local Authority’s Housing Investment is based on the traditional model of Housing Waiting Lists being used as an indicator of need. A common issue in remote, rural communities with this model of identifying housing need is that those in the area are reluctant to register on a housing list. The most common reasons for this are: lack of available social housing; lack of recent lets; perception that they will be more likely to obtain a house if they select a larger settlement as their first choice. To try to encourage residents to register with HOME Argyll, Our Island Home held a housing surgery with Argyll and Bute Council in Dervaig on the 28th March 2018 with one more surgery to be held in May. NWMCWC are currently selling two woodland plots, a fantastic opportunity to build your own home close to Dervaig.